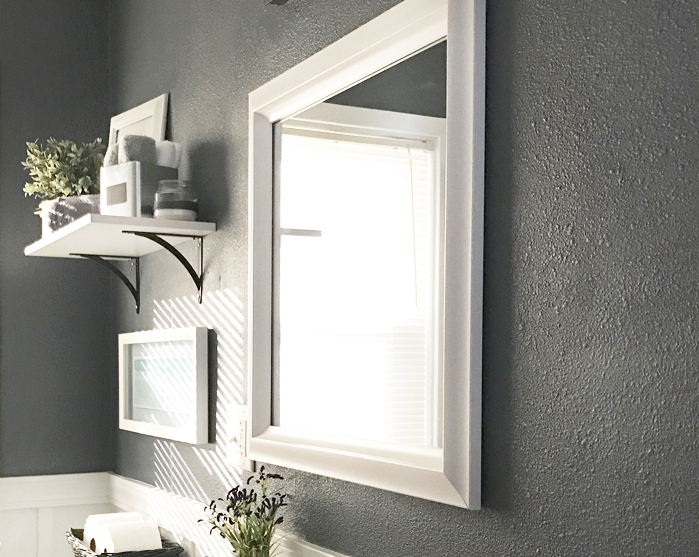 It’s been a while, but if you remember my bathroom makeover last fall, you may remember the classy white framed mirror I added to it. 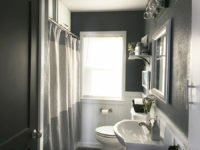 It was a whirlwind five weeks of the One Room Challenge, and one of the many projects I completed was coming up with a solution for framing a builder grade mirror. 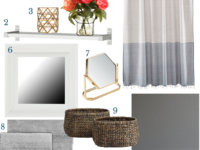 Today’s post is all about how to makeover your bathroom mirror without doing a DIY project. You all know I’m up for a good DIY project anytime, but sometimes it’s best to invest a little more in a pre-made product that is high quality and will save some time. 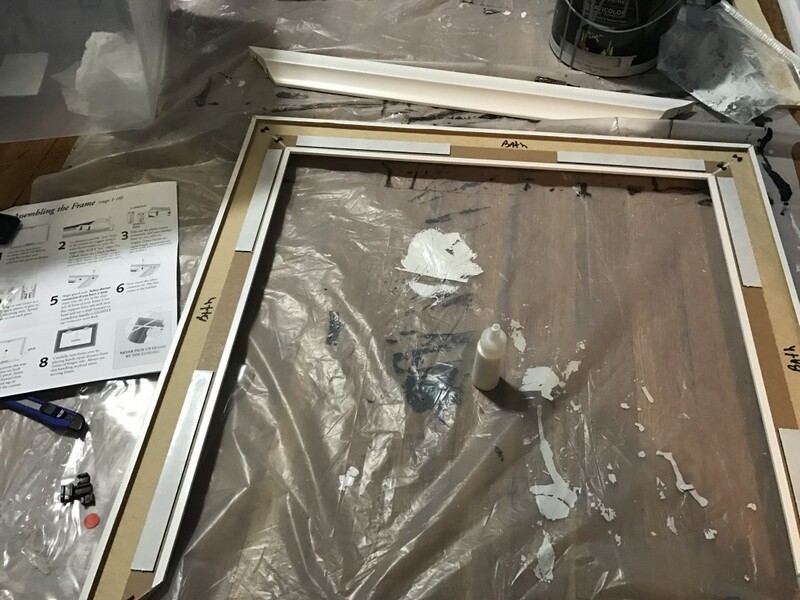 There are hundreds of blog posts out there about using molding or trim boards to create your own mirror frame from scratch, but I didn’t have a miter saw and wanted to be sure my frame looked perfect since I’d be looking at it every day. 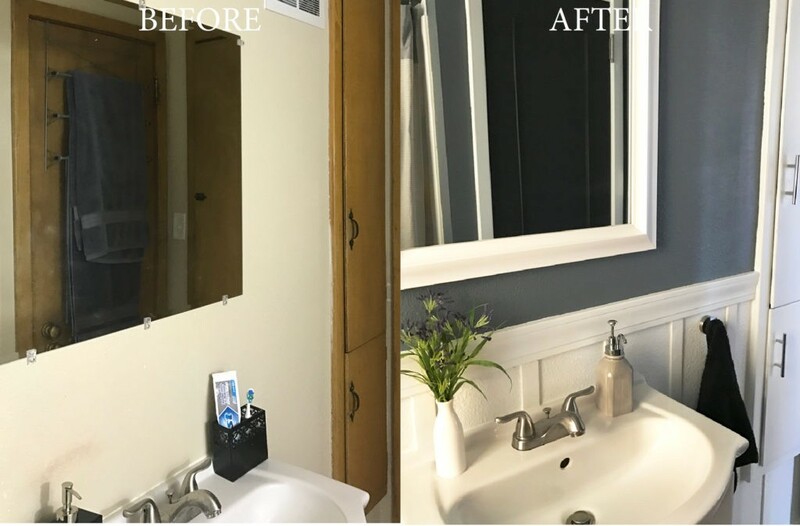 Mirror Mate graciously provided me with product to complete this mirror makeover. All opinions are my own. 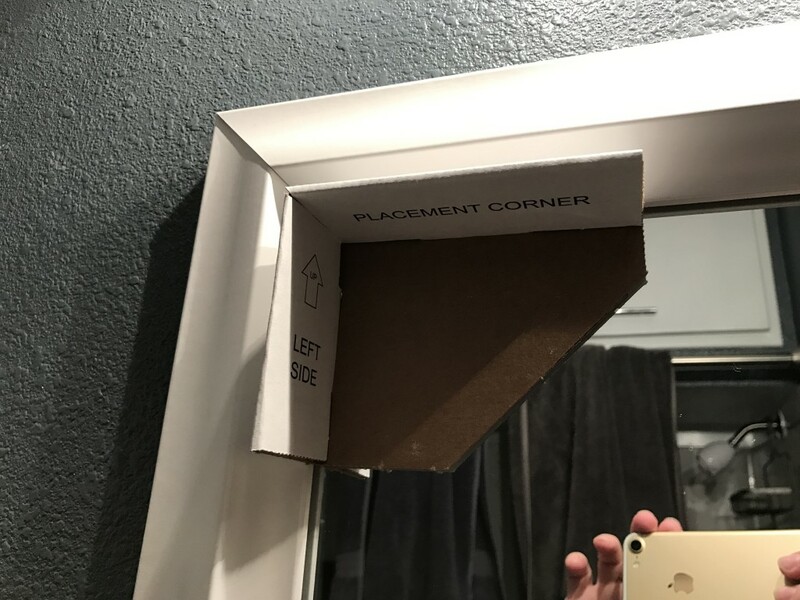 I was planning to just purchase a whole new mirror to replace the builder grade mirror that came with our house. But I got sticker shock when I started mirror shopping. 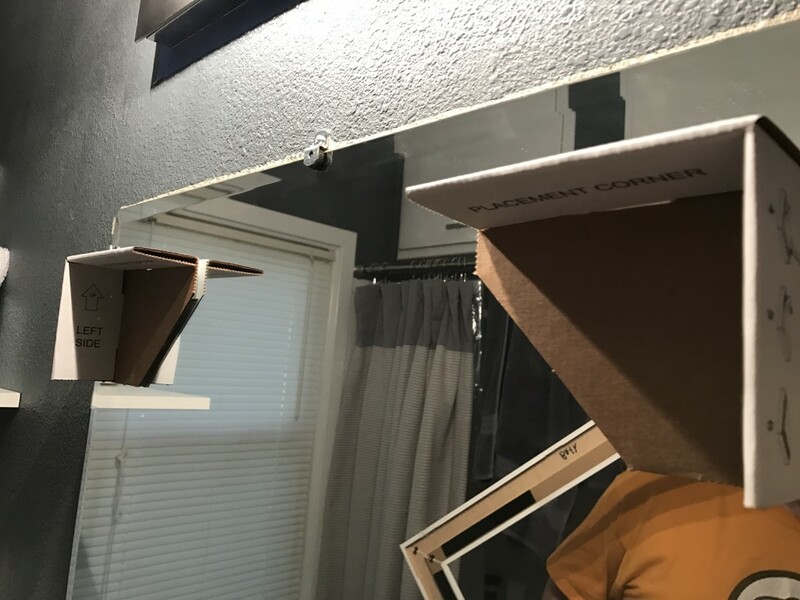 A stylish mirror is expensive! 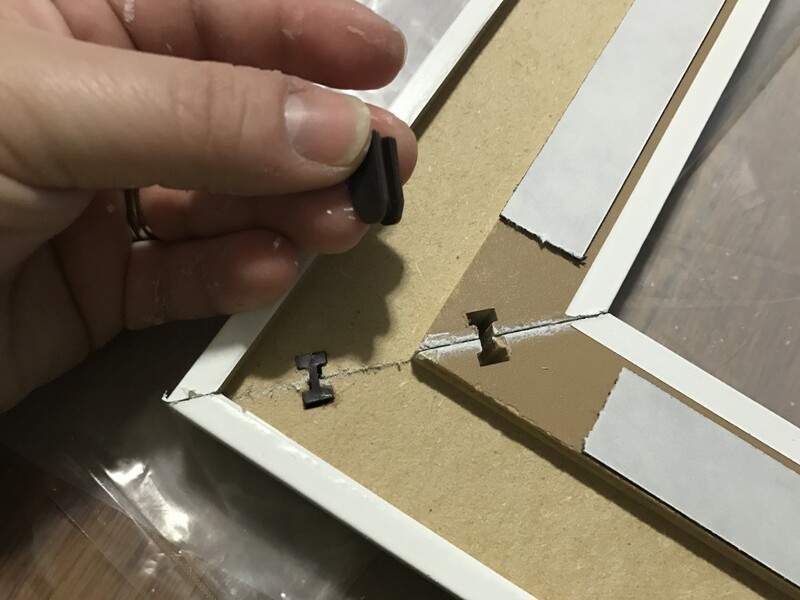 In my search for a more affordable solution, I happened upon Mirror Mate, a company that pre-makes frames that are easy to assemble and stick right on top of your existing mirror. It seemed like the perfect option to frame a builder grade mirror without building one all on my own. Mirror Mate has dozens of frame styles and colors to choose from. There are simple styles and more intricate styles, and everything in between. They have a good color selection, and I also like that you can order a paintable frame that’s ready to paint any color you choose. It was so hard to choose, but I ended up deciding to keep it simple and classic. I chose Chelsea Classic White, which is modern, clean and versatile. 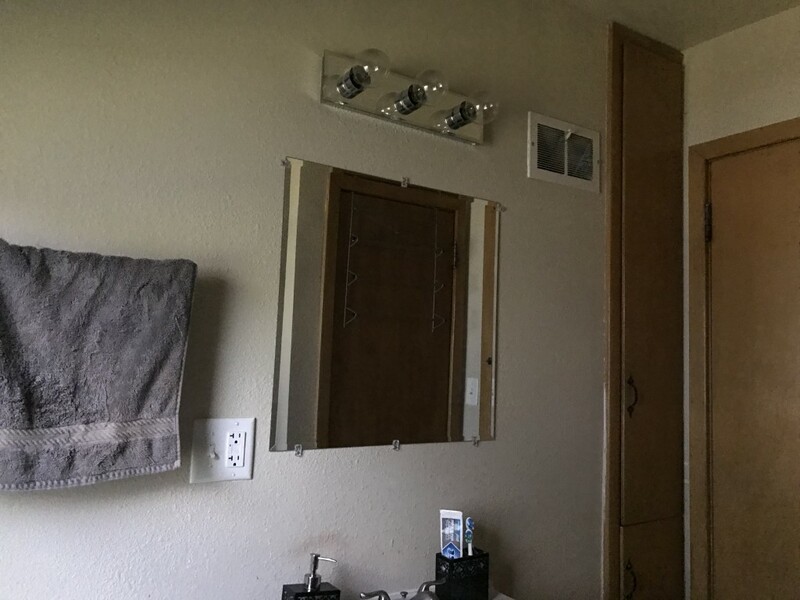 I thought it would transition well with any future makeovers the bathroom may get. Taking measurements and placing my order. I was nervous about ordering the wrong size of mirror, but the Mirror Mate website was extremely user friendly. There are detailed instructions about how to take measurements so you can’t mess it up. There are also some specific questions about the thickness of your builder grade mirror and about the type of clips that currently hold it in place. They even ask how close any nearby outlets or light switches are to make sure the frame is sizes appropriately. Once I input all of the measurements, I placed my order and waited for it to arrive on my doorstep! 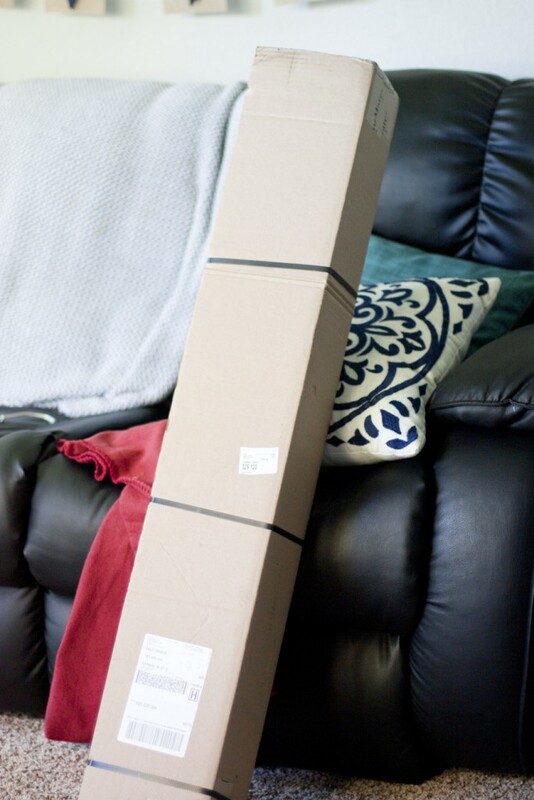 It came in this huge box! The frame arrived with everything I needed for installation. 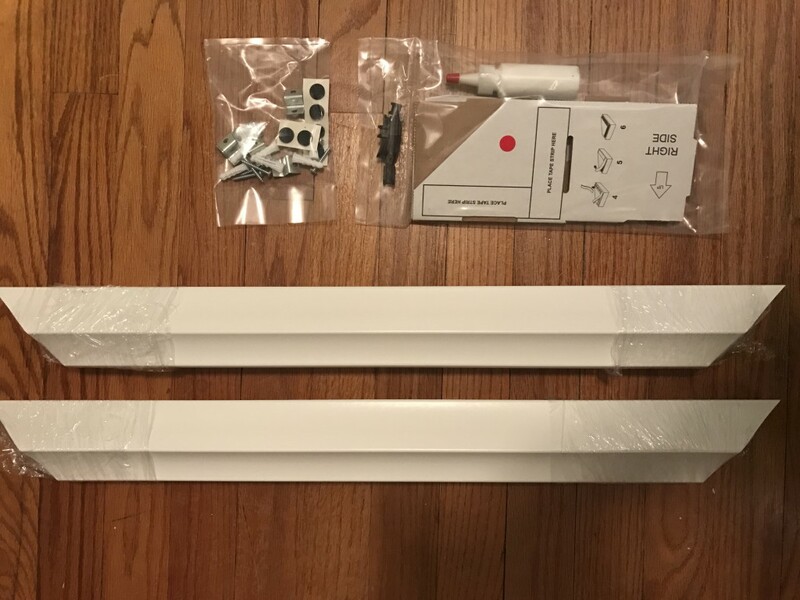 I usually wish the printed instructions in things like this were more detailed, so I was pleasantly surprised to learn there are detailed videos on the website that walk you through the steps. It really is quite simple! 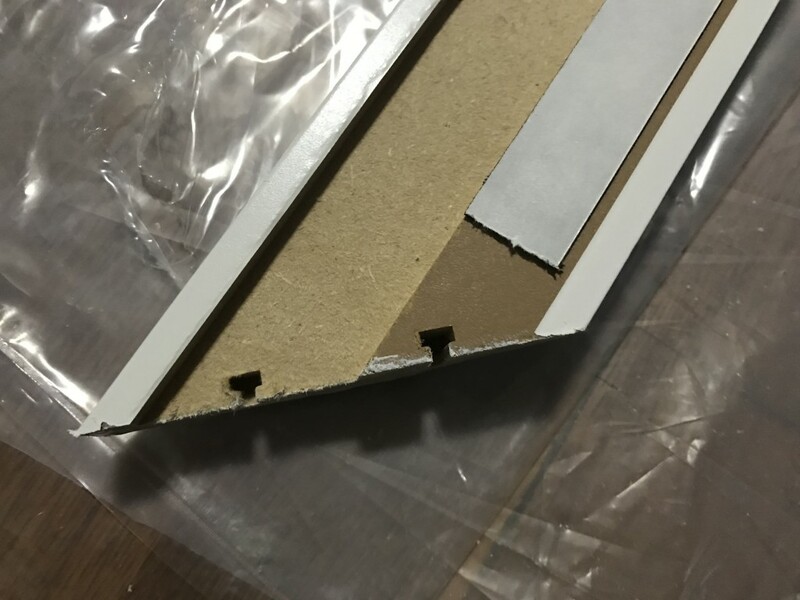 The frame comes in four pieces, with little plastic connectors that easily slide in grooves along the back to connect the corners. 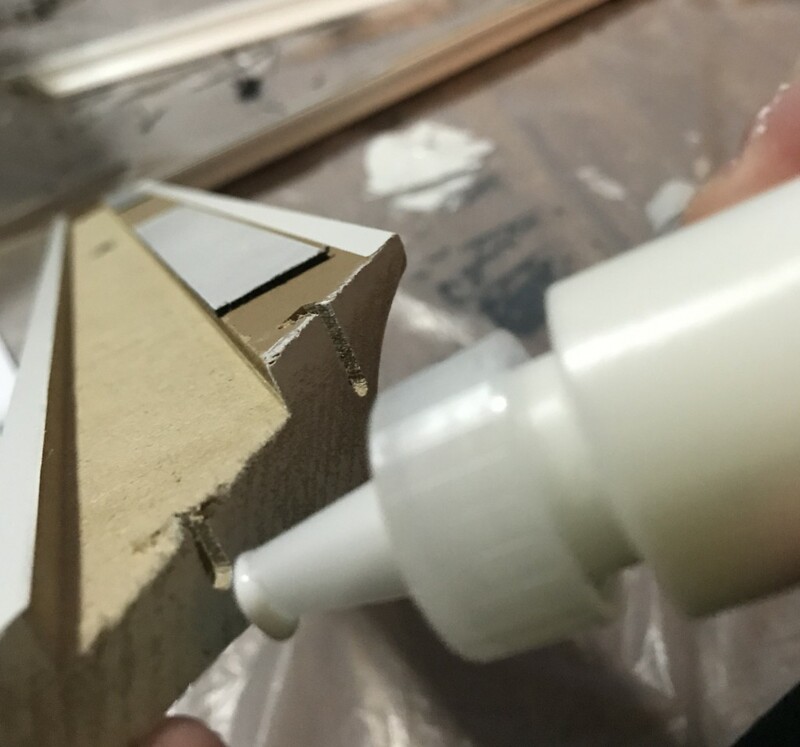 Before connecting the corners, you apply a bit of glue to firmly secure everything. All it takes is a few light taps with a hammer to get the connectors in place and connect all four corners. Once the glue is dry, it’s time to hang it! 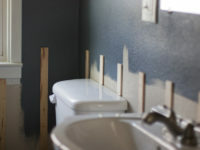 The frame is hollow in the back so it sits right over the clips that hold your existing builder grade mirror in place. It comes with little cardboard pieces that fold into guides that ensure you get the frame placement right. They were really helpful! David held the frame over our mirror and we made sure it was level, then I stuck the cardboard guides onto the mirror aligned with each inside corner of the frame. Double sided foam tape is attached to the back of the frame so it’s easy to stick in place. 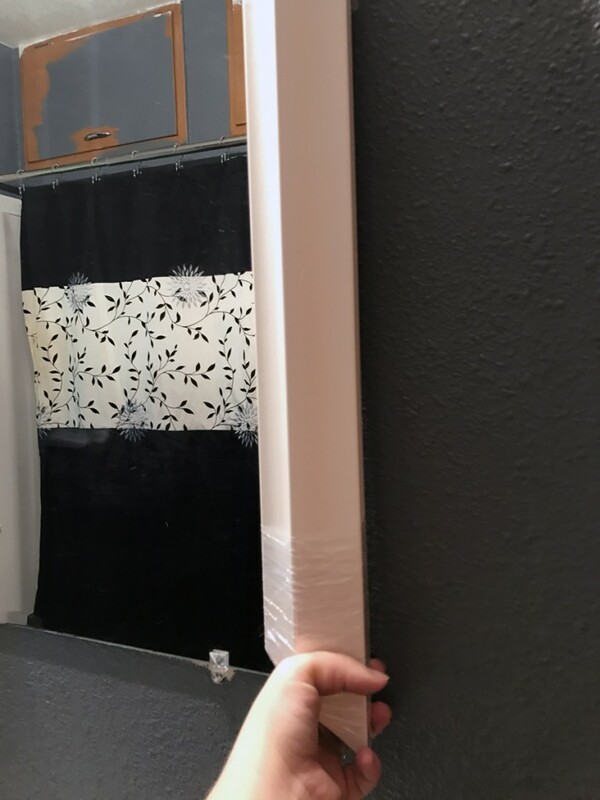 I pulled off the tape backing and we carefully pressed it in place over our mirror. Those cardboard corner guides were very helpful for making sure we got everything right! That tape is crazy sticky, so you really don’t want to mess it up. Definitely use those guides. The guides had a tape on them that is designed to pull right off the mirror once you’re done with them. This was such a simple way to frame a builder grade mirror! If you don’t want to build your own and you don’t want to shell out hundreds on a brand new mirror, this is a great option. The frame is high quality and is stuck in place super well so it’s not going anywhere! This framed mirror really helped complete the room, and I’m so happy I discovered Mirror Mate! 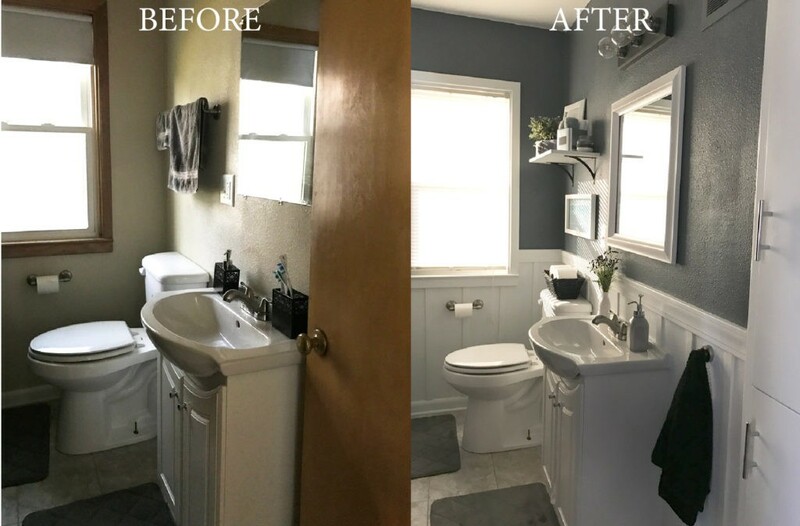 Take a closer look at the entire bathroom makeover in this post. « Casual Friday 02 – Organizing Love, Two Fav Podcasts, The Crown, Etc.